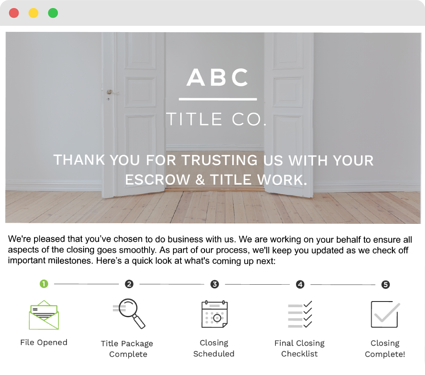 We integrate with your existing Title Production Software to help you stand out during the Closing Process. 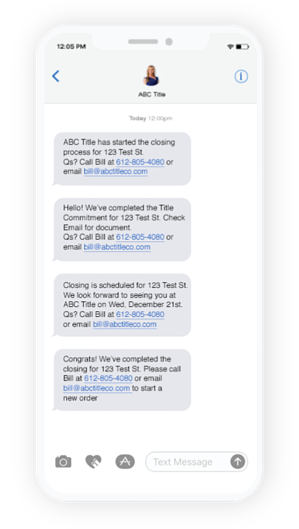 Send personalized Text Messages, Automated Email Updates, & our Pizza Tracker for Title™ to help drive your business forward and save you time (saving 60-90 minutes per file). Select your current Title Production Software to see how CloseSimple seamlessly integrates. Integration with popular Title Production Software means Zero Double Data Entry, and more time saved for you. On-boarding typically takes less than one month. We design your emails, including branded assets & timelines. 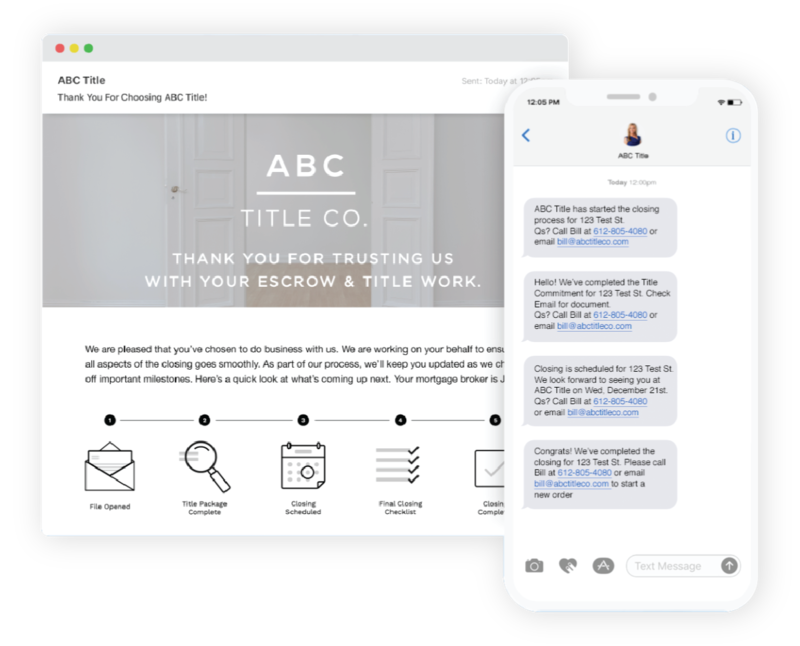 Contact us to chat about bringing CloseSimple to your company.